Today, I’m sharing the new Free with Purchase Artsy Template MultiPack No. 10. You have the option to purchase Artsy Template MultiPack No. 10 at a 20% discount. 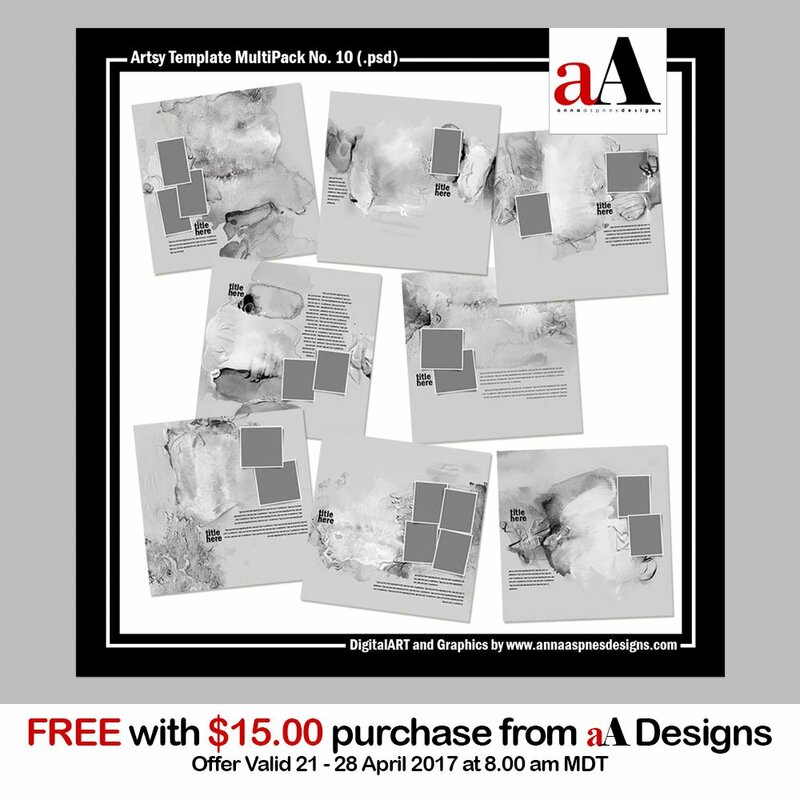 OR get this collection of templates FREE with a $15.00 purchase from the Anna Aspnes Designs store. The templates will be automatically added to your cart after the minimum purchase has been met. In this collection, you get 8 – 12 X 12 Artsy layered templates featuring numerous masks designed for use with the clipping mask function or for recoloring in Photoshop, Elements and Paint Shop Pro. 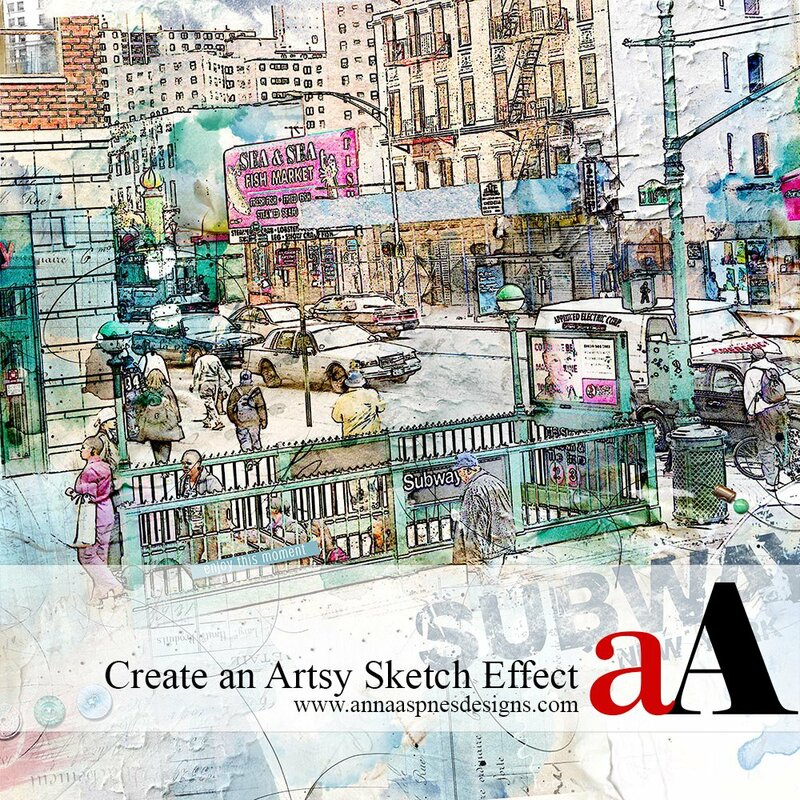 All layer styles, masks, frames, brushwork, title placement and textboxes shown are included. Simply clip your images to the FotoBlendz masks or recolor as desired, then add your own elements and words. Templates may be used individually or in pairs to create Artsy double-page spreads. Further information on using clipping masks in Photoshop and Elements can be found in this video tutorial. Tutorials on using layered templates can be found on the aA Youtube Channel and in the Tutorials Archive on my blog. Offer is valid through April 28, 2017 at 9 am EDT.